NoodleRice works at the intersection of film/video and live performance. First conceived as a film studio by Yao Zhang and Liang Guo in 2008 as students at the Beijing Film Academy, they went on to expand their work into performance art and theater during their MFA years at California Institute of the Arts. NoodleRice’s performance piece My Favorite Food has been shown across the U.S., including at The Watermill Center (under the artistic direction of Robert Wilson), RubbitHole in New York, SPACE in Pittsburgh, and Automata, Tongva Park in Los Angeles. 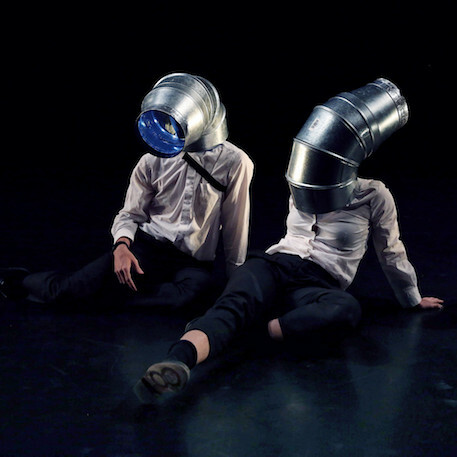 Their immersive public performance event We Can’t’ Wait Much Longer has been selected into the second tier of the Sundance Institute New Frontier Story Lab, and the final list of Rapid Pulse International Performance Art Festival. Yao Zhang and collaborator Liang Guo work together under the collective name NoodleRice. While in residence at The Watermill Center, the writing, directing, and designer duo will continue to develop a their image-based performance piece titled A Bibliography of Romance.